Vehicles in emergency response use lights and sirens to get free way on the streets. Lives are to be saved, everything else is of secondary importance. Emergencies imply especially challenging traffic situations for all road users. Despite specific training and increased attentiveness, approaching trains can present a serious risk for collisions at ungated level crossings, notably because of the very long braking distance of trains. 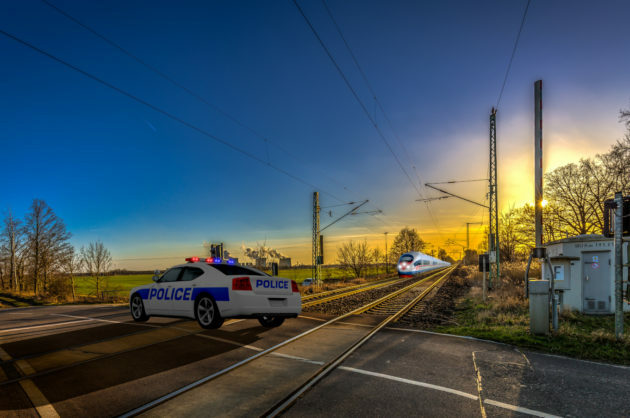 The Emergency Vehicle App solves this conflict: The application “recognizes” trains in the surroundings and the threat of a collision. If such a collision becomes possible, the vehicle’s crew will be alerted early enough to be able to adapt to the situation. Using the application can gain the seconds that are crucial in so many cases!